Ensure that your air conditioning unit is serviced once a year to protect your manufacturer warranty and gain the maximum performance. Cleaning of external unit and coil clean the condenser. 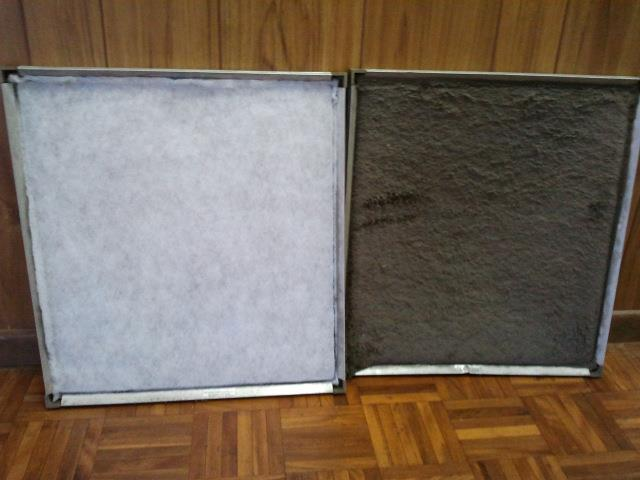 Cleaning of the Evaporator is not included; this involves removing the indoor unit supply and return plenum boxes. If this is needed an additional 2 hours of labour is required ($250 incl. GST). Filter Replacment Before And After. The following are more related to a breakdown. Please see breakdown menu. Breakdown call out fee: $85- $175 incl. GST includes technician for up to half an hour.